When one stops to think about the various institutions that we trust with our most vital and personal information, it can be terrifying. How many banks, ecommerce platforms, social media sites, newsletters, etc. have you trusted with your name, phone number, email, home address, and even banking or credit card information? Chances are that number is quite high, and because of that you might be setting yourself up to be a future victim of cybercrime. Hackers have become more adept than ever at accessing your personal information to steal your identity. Only through careful vigilance and advanced encryption technology can we stop them and protect ourselves from becoming another cybercrime victim. But even with such safeguards in place, why make yourself more vulnerable by handing out your precious data as though it were candy? Why should you avoid doling out your information on these sites? What can happen to hurt your cyber security? How can you protect yourself? Most websites ask for a lot of information. There are many reasons why, but the most alluring aspect of adhering to this info request is convenience. In the case of ecommerce platforms, you usually have the choice of creating an account or signing in as a guest. Guests have to re-enter their check out information every time they make a purchase. While this might be more mentally exhausting and exasperating, it is the smarter option. If you give your financial information to 15 different websites, and even one of those sites gets hacked, then criminals will gain access to all of your vital data. Recent hacks into large organizations such as the New York Times or the Democratic National Committee shows that no company is totally safe from cybercrime, no matter how large. Every time you enter your personal details into a site and allow that company to store said information, you are giving hackers another chance to steal your identity. We all get too many e-mails. If you’re sitting there looking at an inbox stuffed with hundreds, if not thousands of unread messages, this is a pain you know all too well. Websites keep your information because they want to send you updates and promotions on a regular basis. This leads to a messy inbox stuffed to the brim with junk mail that you’re never going to open from companies that are selling items you might not want. When our inboxes are that full, we often miss important correspondence, or click on malicious links accidentally. Keeping your inbox empty and organized is a great way to aid your cyber security. The more websites you sign up with, the more emails you will get, and the more disorganized your inbox becomes. Oftentimes, hackers will send out emails designed to look as though they came from a website that you’re subscribed to. These messages will often contain links which, if clicked, could begin loading malware onto your computer. These hurtful programs gather all of your information and send it back to hackers. Sometimes, a hacker will send you an email which states that there is some kind of issue with your account. They request your username and password for the purposes of security. If you fall for this trick, you’re handing your login credentials over to a criminal. By cutting down on the number of sites that we subscribe to, we’re giving these hackers less opportunities to fool us with fake email correspondence. Many viruses come in the form of a Trojan horse. The malicious program is attached to an otherwise harmless bit of software that you’re downloading. Once you’ve installed the program you had intended, it comes with a nasty surprise; a virus that spreads throughout your system. When you subscribe to a website that you don’t fully know or trust, you’re sometimes prompted to install that site’s software. This is especially true on Torrent websites. This could load your computer with Trojan horse malware, most notably keyloggers, which are one of the most dangerous viruses in existence. Keyloggers keep a record of every keystroke you make, including passwords, user names, and financial information, both online and offline. That info is then sent back to a hacker, who will steal your identity. A strong cyber security plan, coupled with resisting the urge to input your personal information on a large number of websites will keep your online life safe and secure. Here at Secure CyberID, our comprehensive keylogging encryption plans will work to protect multiple adults across both computers and mobile platforms. For more information on how we can help keep your identity safe, contact us today. Are Your Ready To Start Protecting Yourself From Cyber Security Threats? 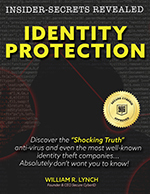 There are various reasons you may be looking at identity theft protection for your business. No matter what you are looking for, we are here to provide the solutions you need and count on.